Oil on panel with metallic leafing, 18″x24″. August 2011. 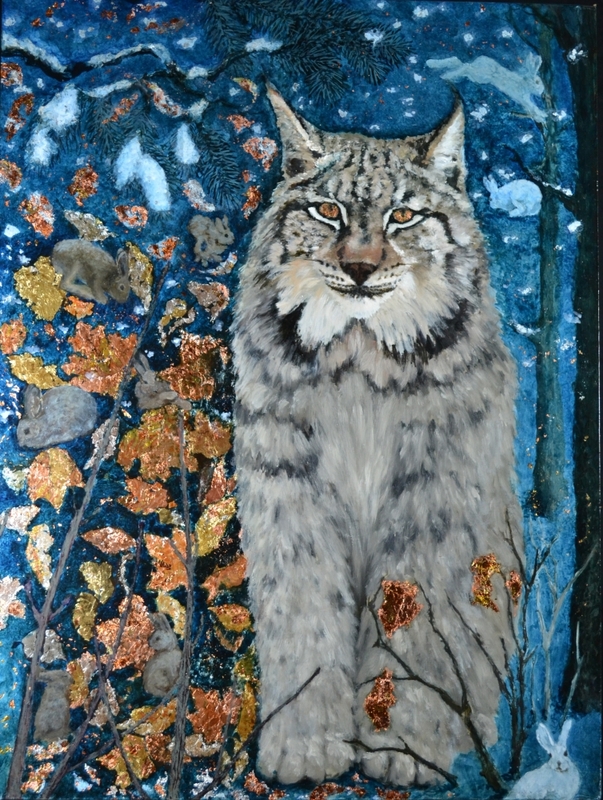 I met the lynx when I was in my teens, walking in the woods; it stood silently and stared at me. At the time, I wasn’t sure what I’d seen. I’m still not… but it looked a lot like this. Note the many bunnies. They are more than cute–the lynx literally can’t live without them, nor will their population remain healthy without him. And of course, both are dependent on many subtle factors in their environment, and a balance that must be maintained. This entry was posted in Uncategorized on August 20, 2011 by allanm051. Fantastic paintings, I’d like to see more!